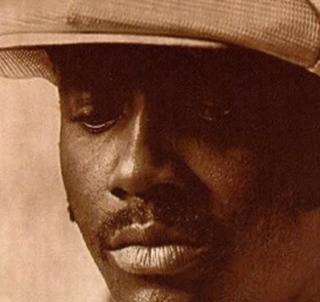 Thirty-five years ago today we lost the great American soul singer Donny Hathaway. Best known for “A Song for You,” “This Christmas” and classic duets with Roberta Flack, Hathaway was a church-trained singer, pianist, producer and composer who recorded three solo albums, scored a film and conducted orchestral symphonies. His preternatural genius was a music-industry cliché. In 1973 he told an interviewer that he was studying composition with Yusef Lateef and drawing ideas from Stravinsky and the blues to enrich his music; he had just moved to New York and was looking forward to making his name there. He was 26 at the time and would be dead by 33, falling from a 15th-story window of New York City’s Essex House Hotel in an apparent suicide. It is impossible to hear that interview without thinking of the end that was racing much too fast toward this young artist. It is hard to see the red Essex House sign at the south edge of Central Park without remembering. In fact, it can be hard to hear Hathaway’s music without also hearing his impending death. There’s that rich, hooded vocal sound, that depth of feeling, that lyric “I hear voices, I see people,” hinting at his mental illness—“the blast of voices inside,” as poet Ed Pavlic writes, that Hathaway channeled through his music with massive care. The conventional way to tell Hathaway’s story is not to dwell on the loss but to move past it and end on a positive note: to describe his impact on soul legends like Stevie Wonder, to say that his music lives on in countless artists, such as his phenomenal daughter, Lalah Hathaway. This is all true. But I want to linger on the matter of endings. Doing so is instructive with Hathaway, because he was a master of them. He sang each line like its own statement, from the opening breath to the last stylized sound. In “He Ain’t Heavy, He’s My Brother,” he trades his signature full-voiced legato for a spacious, quiet approach: “I am strong enough to carry him.” He floats the word “strong” across the measure and lets the line down gently. When the phrase ends, he has recast strength as supreme tenderness. His 1972 live album also features two long soul-jazz jams that resist closure or containment. “Are you ready for a party, y’all?” Hathaway calls, before hosting a Wurlitzer-driven celebration of the style, glamour and fun of “The Ghetto,” a song meant to counter dire portraits of urban black life. He puts the idea of cherished community into action as he proudly introduces his band on “Voice Inside (Everything Is Everything).” Each musician takes a solo, the crowd joins in with a soul clap and still, 13 minutes later, you can tell no one wants it to end. The reluctance to end is sometimes part of the story. “Givin’ up is so very hard to do,” Hathaway sings in stretched-out gospel style, “when you really love someone.” Never mind giving up—he doesn’t even want to get going. He could end an argument before it even started. For anyone who might resent black people’s desire to affirm themselves among themselves, when it came to “Young, Gifted and Black,” he sang this: “I’m not tryin’ to bring down nobody else, but it’s sure young, gifted and black.” Case closed. He wanted to encourage black people through his music, and some people tried to encourage him. Edward Howard wrote the lyrics to Hathaway’s “Someday We’ll All Be Free,” he says, as a message to Hathaway himself. Hathaway was then plagued by schizophrenia, and the song was all his friend could give him: “Hang on to the world as it spins around, just don’t let the spin get you down.” He wasn’t going to make it. But he held on long enough to turn a song meant for him into a song for everyone else. Emily J. Lordi is an assistant professor of English at the University of Massachusetts, Amherst and the author of the new book Black Resonance: Iconic Women Singers and African American Literature. Her music reviews have appeared in NewBlackMan (in Exile), the Feminist Wire and the New Inquiry. She is working on a book about soul.